I, along with the vast majority of turban-wearers in this country, am a Sikh (properly pronounced “Sick(h)”). Many readers would likely recognize me as a Sikh if you saw me walking down the street, but even many of those who know that man + turban = Sikh (gotta love Goodness Gracious Me) nevertheless have been misinformed (or just not informed) about Sikhism. The most common misconception I hear from other South Asians about Sikhi is that it is a sect of Hinduism. Perhaps a warrior caste even (ironic, given that Sikhi from its inception was an anti-caste revolution). Another more understandable misconception, or oversimplification, is that Sikhism is a blend of Hinduism and Islam. The reality is that Sikhism is an independent faith with almost 30 million followers, making it the fifth largest religion in the world. But first, let’s back up. Sikhism was founded by Guru Nanak, a mystic poet, saint, and revolutionary who was born (to Hindu parents) in Punjab in 1469. 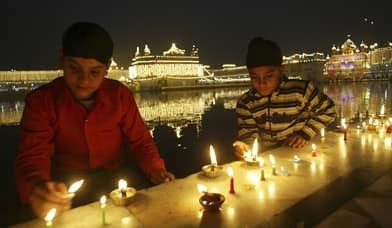 Around the age of 30, after emerging from having disappeared for three days while bathing in a river, Guru Nanak stated, “Na koi Hindu, Na Koi Mussalman” (there is no Hindu, there is no Muslim). Like his contemporary Kabir and other saints associated with the radical bhakti movement, Guru Nanak saw religious divisions and rigidity as obstacles to the Divine. South Asia at the time was under the rule of the Mughal Empire, which was often at odds with Hindus. He saw a society brimming with hypocrisy, intolerance, caste oppression and sexism, all in the name of God. Guru Nanak traveled around Asia and the Middle East engaging the people he met about questions of God, religion, injustice, and love, while singing his devotional poetry, accompanied by a Muslim musician, Bhai Mardana. …Hindus and Muslims are one. Know no distinctions between them. So are the Hindu worship and the Muslim prayer. Despite the problems inherent in most religious institutions, we Sikhs in the end rely on the poetry of the Guru Granth Sahib to inspire us. 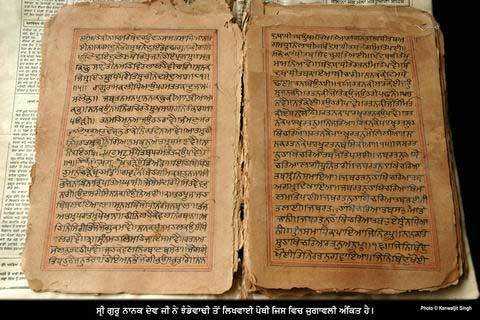 The Guru Granth Sahib is a 1430 page collection of devotional poetry written by six of the Sikh Gurus and nineteen Hindu and Muslim saints from the Radical Bhakti and Sufi traditions (including Kabir, Sheikh Farid, Namdev, and Ravidas). Indeed, you don’t have to look any further than the Sikh scriptures to see Hindu-Muslim (and Sikh) unity embodied. Sahas tav nain, nan nain hah tohe kau, sahas murat nanaa ek tohi. Sahas pad bimal, nan ek pad, gandh bin, sahas tav gandh, iv chatal mohi. Sabh maih jot jot hai soe. Tis de chaanan sabh mai chaanan hoe. I am enchanted by Your wonders. By that Light we are all illuminated. I learned some new stuff from this article. Thanks and great job. Beautiful article, very well written.